Welcome to the new GOCC blog. This blog serves two purposes. The first (and major) purpose is to publish some articles that don’t fit in with the timeline of the next issue of The Streak. 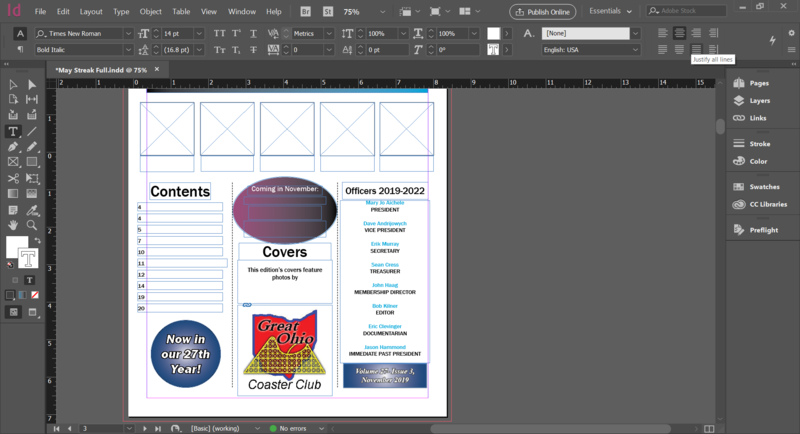 For instance, Yukon Striker and Kentucky Flyer media day events are at the end of April, but the May edition has already been sent to the printer. The next edition doesn’t come out until August, at which point publishing articles about April media days wouldn’t really make sense. The secondary purpose is to allow for the publication of various articles, like this one, that don’t really fit into the scope of what typically appears in The Streak. We hope you enjoy this new feature of our website and we welcome any feedback by email. Since I took over the position of editor (unofficially near the end of last year, but officially in January), I’ve found it fascinating to read through the old archived editions of The Streak. While the content is amazing and is almost like time traveling, the thing that catches my eye is the structure and layout. It is amazing to see just how far we’ve come in producing what I’d like to believe is a top-notch publication. The first thing that comes to mind when I start putting together each edition of The Streak is if there are any major events either at parks OR within the club itself (like elections, etc.) that need to have dedicated space. 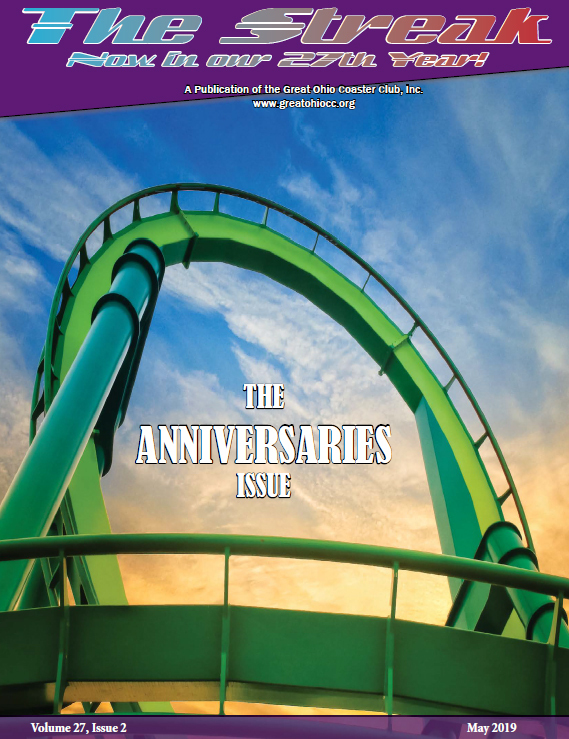 This past issue, Michael Burkes provided me with an article on roller coasters that were celebrating “birthdays” or “anniversaries” this year. I realized that the issue could be dedicated to just that. Not only his article about the anniversaries, but also some individual articles about coasters near and dear to the hearts of GOCC members. The hardest part about setting up that article was finding some pictures of coasters that were at parks that I have either never been to or pre-date my interest in photographing coasters. Luckily, some of the parks were able to help out directly and some other GOCC members and friends were able to provide the rest. Once I have a general theme hashed out, I usually think about what I want to appear on the covers. Do I want two great pictures in general or is there some kind of reason that I’m putting a certain picture on each cover? Maybe one of them won the photo contest at the holiday party or maybe one is celebrating an anniversary. Maybe, I just like a picture I took and want to feature it. Either way, once I have an idea of what I want on the covers, I either search my archives of pictures (which is currently at about 40,000 shots from the last 4 years) or I reach out to one of my contacts on Instagram, Facebook, Twitter, etc. to ask to use one or two of their pictures that I like. Typically, you can find out who the pictures belong to by looking at the middle of page 3 in each issue. I’ve made it a personal goal to try to feature some pictures or articles by various GOCC members in some capacity within each issue. For instance: For the February issue, I somehow got it in my head that I wanted a cover with green in it to match the header and footer that I had previously made. I knew that a friend of mine had a great Twisted Colossus picture with a lot of green with it, so I got his permission to use that picture for the front cover. He also provided me with a Steel Vengeance picture for the back cover. Both of the above pictures were provided by GOCC member Jon G. for the covers of the February 2019 Streak. At this point, I start playing around with the formatting a little bit. Shelley left me with all of the former issues she did, which was a great jumping-off point for me. Learning InDesign was a big learning curve with a lot of playing around to see what I could and couldn’t do, but now that I’ve gotten the hang of it (Google has been my friend! ), it allows me to do a lot of things that other softwares like Publisher can’t do. I’ll sometimes look at other magazines for ideas of layouts and text/picture structure. ACE’s magazine Rollercoaster is just one of many that inspire some of the layouts I use. I’m not sure what software he uses for the magazine, but Tim Baldwin does a fantastic job over there. *Side note: I sat next to Tim on the Coastermania! boat cruise in 2017 and recognized him from having seen him in the Legacy of Arrow documentary (I wasn’t yet an ACE member). Had I known I would be the future editor of The Streak at that time and had I known he was the editor of Rollercoaster, I would have at least tried to pick his brain a bit. If you’ve never seen an issue of Rollercoaster, check out one of the more recent editions. It’s a fantastic publication. While I’m going through this process, I’m also writing down on a pad of paper exactly how I think the layout should go in terms of content. Which articles should logically get placed first, and whatnot. 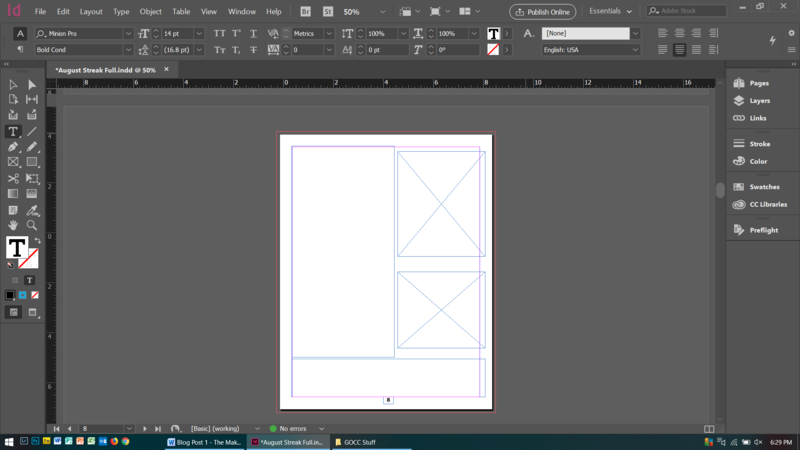 Luckily if I want to change something after the fact, it is pretty easy within InDesign to move pages around. Now, I definitely don’t rebuild an entirely new Streak every issue. I usually will go back to the issue before, delete the headers, text and images and just have a blank layout to work with. I never feel the need to “reinvent the wheel” and by keeping some text boxes and blank image boxes, I save myself a few minutes here and there, which can add up to a big chunk of time saved in the long run. Once I’ve figured out what articles I’m using, what order I’m going in and approximately how many pages they’ll take up, I start figuring out how I want to lay out each page. Where will the text go? How will it be formatted? How big are the margins? How many columns will I use? Where do I place the pictures? This is another guess-and-check type situation, where I try various layouts until they seem to flow well and are visually-pleasing. This is actually an ongoing process that changes throughout the development of the issue. I also create the headers or banners either from scratch or with the aid of free clipart or other things I can find that fit with whatever the article is about. Once the layout is set, I put the text in place and add in pictures. Most of the time I’m able to use pictures I’ve taken myself or those that I’m sent by the writer or even some of my friends. Sometimes however, especially when it comes to logos, I contact the park directly for a high definition picture or version of their logo as well as to get their permission to use it. Originally, I struggled with resizing pictures to make them fit, while still looking normal, but then I realized there’s a bunch of really easy commands and button clicks that do it for you. If you look at some pictures from the November 2018 issue, you can find a few pictures that look like they were stretched really oddly. That’s why. 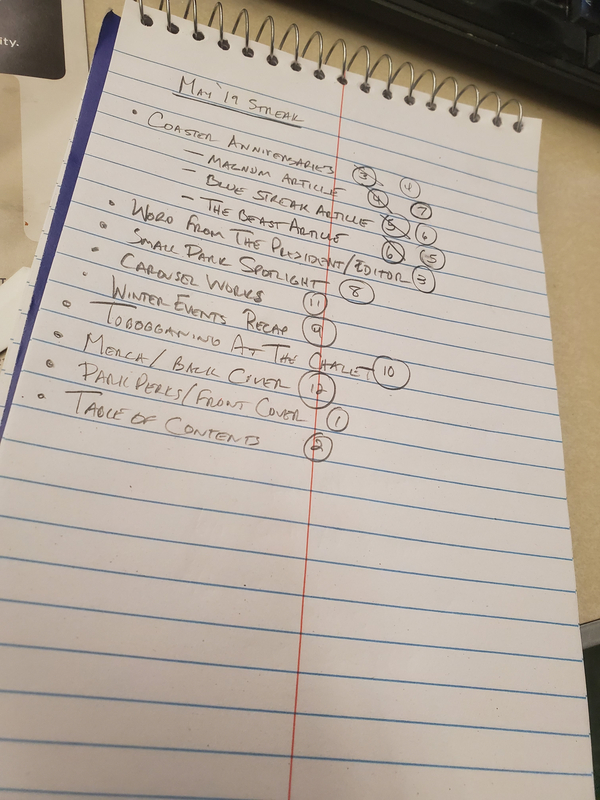 The final portions of the construction of each issue involve making sure I have a number of pages that is a multiple of 4 (typically 20 or 24 pages) and either adding content or condensing content to get to that value. I try not to cut anything once I have it in place, but if I need to condense, it isn’t hard to play with the margins, shrink pictures a bit to fit more text, etc. It is pretty easy to eyeball that kind of thing as the issue develops. I then export the file as a .pdf file and send it off to the board of directors to look over. Once I get their feedback, fix typos and layout errors, I finalize the issue, “package” the files through InDesign itself and then send it off to A1 printing in Galion to be printed for members that receive a printed copy. Turnaround time on printing is usually about 7-10 days. Once they send me the notification that they’ve mailed the issue, we post the newest issue to the website and send an email blast to members letting them know it is available. I usually take about a week or two off before I start putting the layout together for the next issue. I already have some ideas for articles in my head (and already some articles in my email from Michael and others), so it is pretty easy to get going on the next issue up. And there you have it. I hope you enjoyed a look inside the process of putting together The Streak. And more importantly, I hope you’ve enjoyed reading the magazine itself. 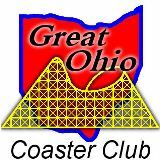 If you’re interested in reading more content about parks, roller coasters, GOCC and other events, etc., you should join the Great Ohio Coaster Club! You’ll receive quarterly copies of The Streak and have the opportunity to attend all of our events, plus CoasterMania! at Cedar Point, Coasterstock at Kings Island and Holiwood Nights at Holiday World. CLICK ON THE JOIN LINK ABOVE!